HTC has just dashed our hopes that the unidentified smartwatch glimpsed in a design video this week was the unannounced HTC One Wear. 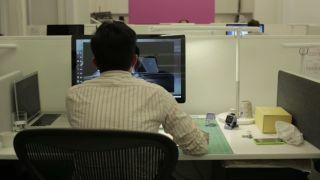 "HTC encourages our design team to explore and tinker with new ideas and even models, as is the case with the watch some viewers noticed in our recent HTC Design video," a company spokesperson told TechRadar in a statement. The statement continued, "It in no way indicates an actual product HTC is planning to release. Keep an eye on this space for exciting new products from HTC when they are ready to be announced!" Granted there's a little wiggle room, and the smartwatch in the video could well be a prototype still. But its design is probably far from final, considering HTC was willing to let it be glimpsed at all. Watch the video above - but take anything you see in it with a grain of salt. The initial rumors said the One Wear would rival and resemble Motorola's Moto 360, a round-faced watch that's scheduled to launch this year. But recent leaks - from an Evleaks special to the video HTC just debunked - have suggested the alleged HTC One Wear could actually go back to square one with a four-sided, hard-cornered face. Although maybe with this hedging HTC is trying to leave itself room to go circular after all?